The Security tab for each page works just like Page Security in Security Roles, except the Security tab sets permissions only for the current page. 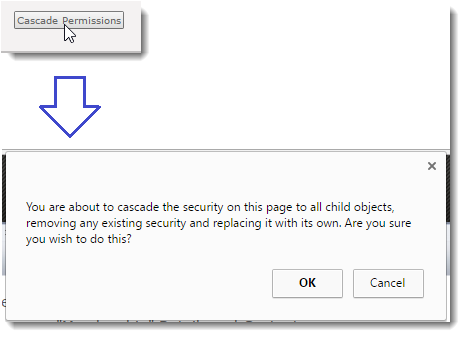 Click the Cascade Permissions button to apply security to all child pages if the current page has child pages. Keep in mind this is page security not module security. NOTE: When selecting the Cascade Permissions button, you are prompted to replace the existing security for child pages.